Let us help you choose the best 60th anniversary gifts. You can personalize many of our presents such as our 60th anniversary gift basket and year anniversary books. Add your own personal touch to this terrific event by personalizing some of the choices. 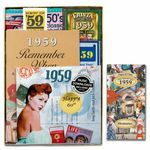 We carry many year themed gift for those married in 1959. 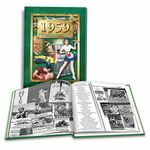 Trivia and nostalgia from the year make a thoughtful anniversary gift idea. Celebrate a 60th wedding anniversary with 60th anniversary gifts from Senior Store. Whether you were born in the 1950�s or got married during this decade, this era was a time of change. One big pop culture emergence was rock and roll music. Popular artists like Sam Cooke, Elvis Presley, Chuck Berry and Johnny Cash all came to the forefront of music during this time period. Pop Art began to slowly emerge at the end of the century with Jackson Pollock as an influential artist in the beginning. Learn about these events and so much more with our 60th anniversary gift ideas like commemorative DVDs, birthday books, personalized prints and much more! If you�re feeling extra generous, then our deluxe gift basket is the thing. 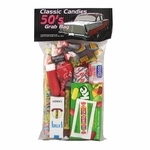 It contains memorable music CDs, magnets, grab bag 50�s candies and more. Shop our 60th wedding anniversary gift ideas for an innovative alternative to an anniversary or birthday present.